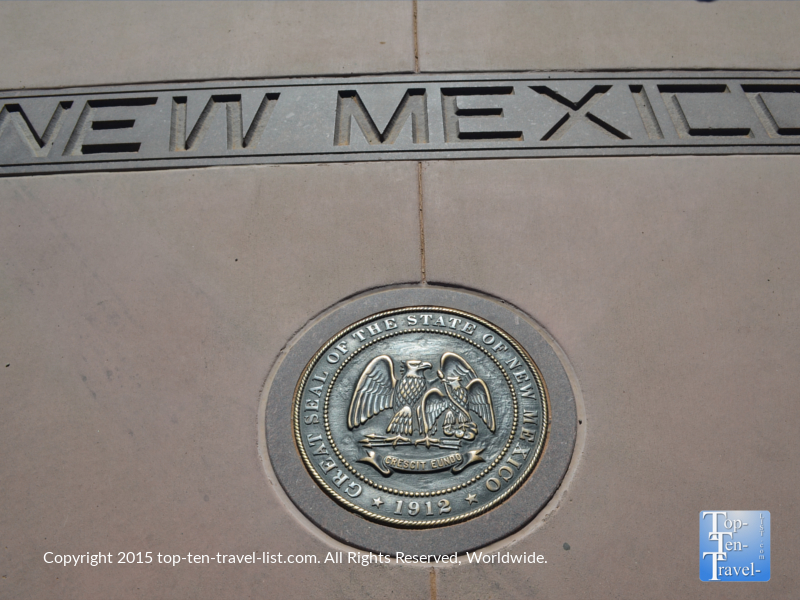 Where Four States Meet: Four Corners Monument - Top Ten Travel Blog | Our experiences traveling throughout the US. 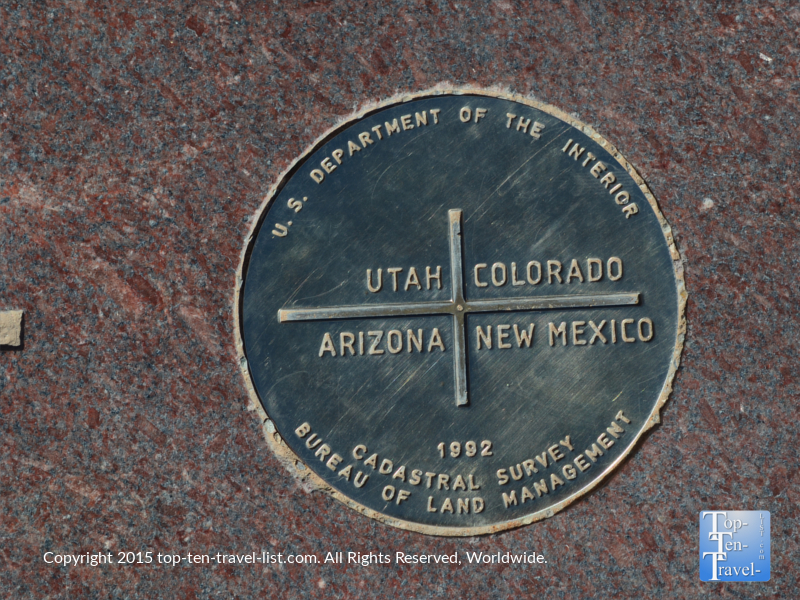 An interesting roadside attraction to visit if you find yourself driving through Southwestern Colorado, Northwestern New Mexico, Southeastern Utah, or Northeastern Arizona is Four Corners Monument, a sight to behold, as it is the only place in the country where 4 states intersect. 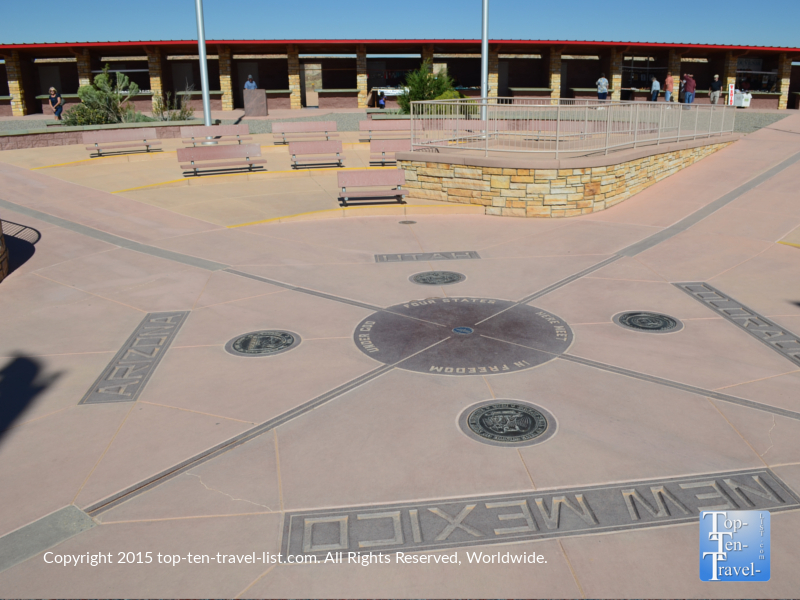 When visiting the Four Corners monument, you will have the opportunity to stand in all 4 states at the same time. Although there is not much to actually do in the area besides photographing the monument and browsing through Native American crafts, it’s one of those unique things to do just to say that you did it. 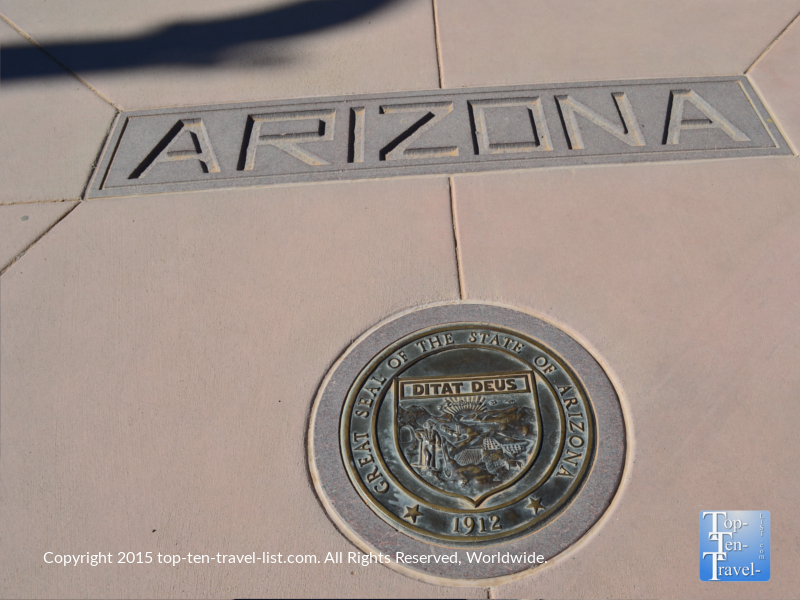 You can stand in each state separately or in the middle of the marker, which is the technical spot where all 4 states meet. During your visit, you are bound to see people doing all sorts of crazy poses to get their hands and feet within all 4 states at the same time (back handstands, down on their hands and knees, etc.). One of the best photos is a group of 4 each standing in a different state or a couple each playing their feet in 2 different states. Regardless, while standing in line waiting your turn, it is quite entertaining to watch the creative ways everyone is taking their photos. The monument is maintained by the Navajo Nations Parks and Recreation Department. Both the Navajo and Ute tribes populate the Four Corners region and you can find them selling various handmade crafts like jewelry, pottery, dreamcatchers, and magnets. If you want a nice souvenir to commemorate your time out West, this is a great place to find an affordably priced Native American creation. The US acquired the Four Corners region after the Mexican American War of 1848. The original marker was established in 1912. Since then it has been redone in bronze and granite. 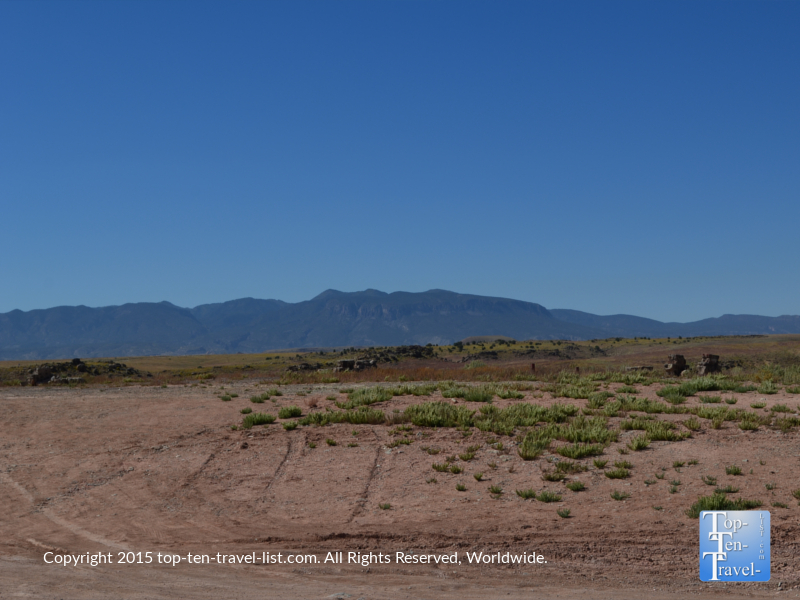 In addition to marking the intersection of the 4 Southwestern states, the monument also marks the boundary of the 2 regional Indian tribes: the Navajo and the Ute. The Navajo are the largest Native American tribe in the country. Over 200,000 Navajo are spread out across 27,000 acres in the Four Corners region. The area near Four Corners is very remote with no electricity or running water. The closest gas station and restaurant is over 30 miles away. Despite the middle of nowhere location, it is a popular roadside stop so expect crowds and a bit of a wait (10-15 minutes or so) for your turn to get a picture by the monument. While I wouldn’t go out of my way to visit Four Corners, it’s a cool thing to say you’ve done if you have extra time, happen to be traveling through the area, and don’t mind spending 5 bucks a person for a cool souvenir photo. 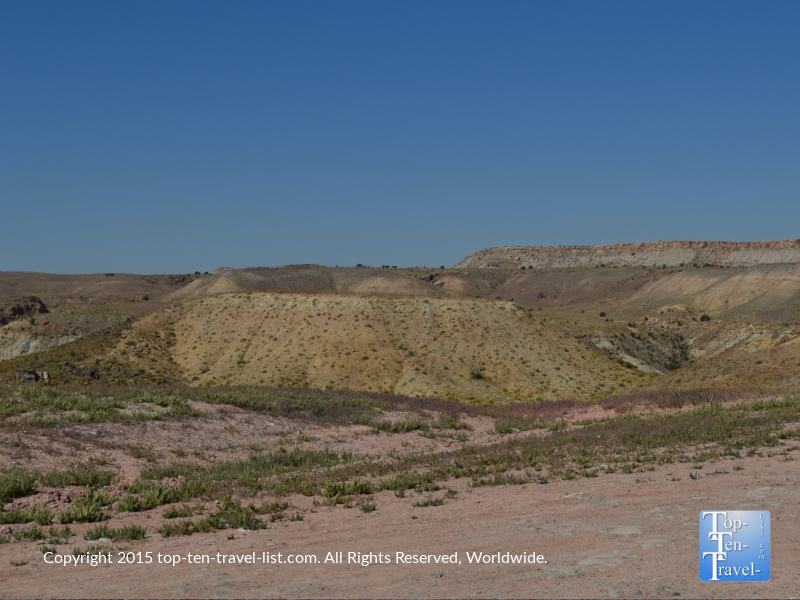 The views aren’t tremendous in the area as the scenery consists of dry desert lands and mostly flat landscapes, however, below are a few of the better views at the monument. 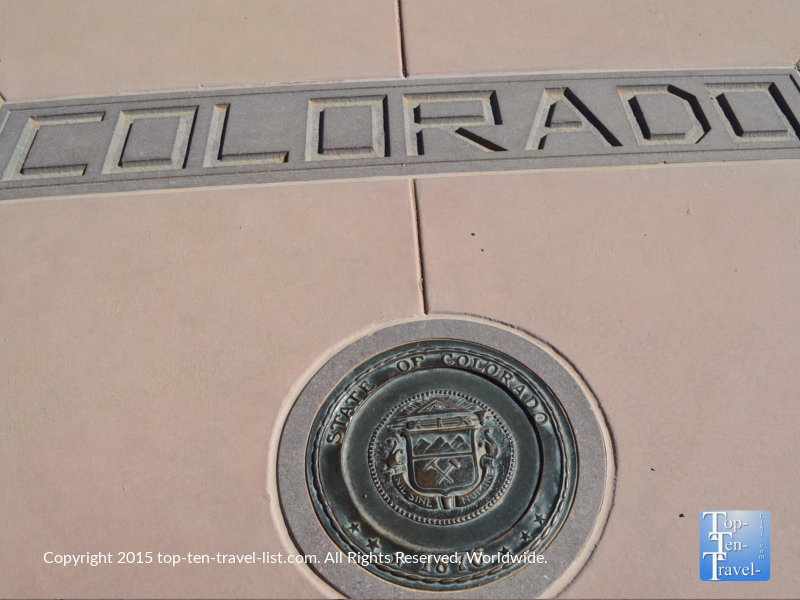 A few other notable sights to see in the Four Corners region include the Mesa Verde National Park and the Canyon de Chelley National Monument. In addition, if visiting during the fall season, you must plan a ride along the Durango & Silverton railroad for the special fall photo train (Durango is located about an hour and a half from the mountain). *Fill up your tank well ahead of reaching the monument as there are no gas stations around and the next is at least a 30 minute drive. Also use the restroom at this time if needed. *Bring with a water bottle and snacks. Driving in this desolate area of the country, restaurants are few and far between. *Be aware that the National Parks Pass is not valid at this attraction. Have cash on hand ($5 per person). 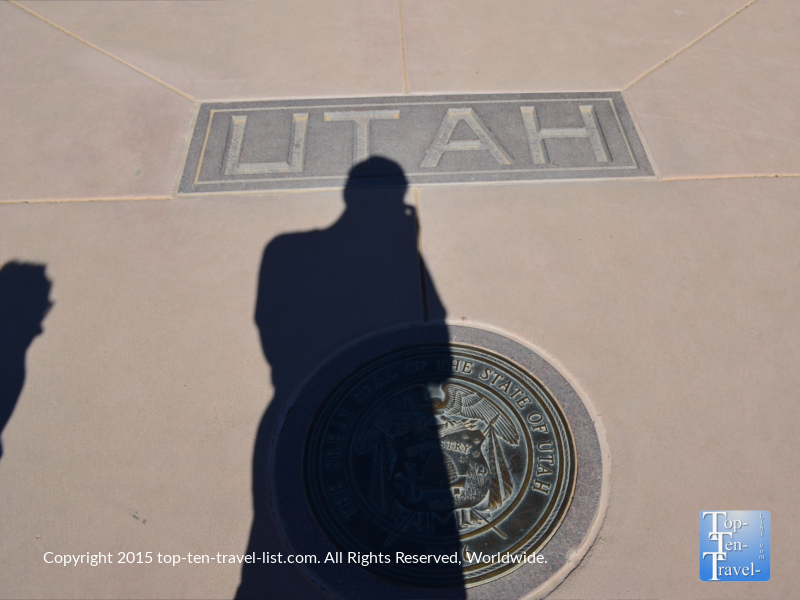 *Bring with a camera in order to take your photograph by the monument. *Bring with plenty of cash if you plan on buying Native American crafts. Prices can add up quickly and most vendors do not accept credit/debit cards.